Hi there, folks, Paul Barrs signing in for another YouTube update. Hello and welcome. 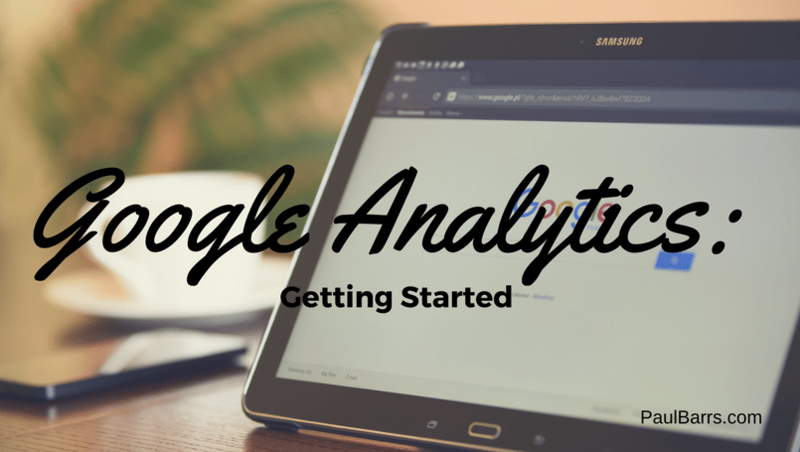 Now this month, we’re talking all things Google Analytics. “Oh yay! There’s an exciting topic,” said nobody ever. Well, no, not entirely correct. I’ve been thinking recently, what is it that puts people off from spending the time to look over their analytics, to investigate, to research, and to analyse exactly what’s happening in their business? Because I think there’s really two different types of people in the world, and there are those sick puppies like me who don’t mind and we enjoy that kind of thing, and then there’s everybody else. Chances are you’re everybody else. Do you know what I’m saying? Look, the thing about analytics is it’s not exciting stuff unless you’re using it correctly. That means, from my point of view, if you find looking at the numbers and crunching a few figures not exciting, well that means to me that you’re not looking at the right things and understanding it correctly. So my goal over the next few weeks is to help you understand those foundation basics a little better, to help you take your knowledge with analytics a little further. Let me put it to you this way. Yes, analytics is a monolith. It’s a huge thing. It’s like three different monoliths to serve three different types of businesses — the micro-business sector, the small to medium enterprise, and the corporate as well. You only fit into one of those. So first things first, the good news is, for you, not everything in there do you need. If you’re aware and you’ve come across my principle, what I call the “Magic Half Dozen” which I talk about in every third video, you really only need to find about how many? About half a dozen different things that, if you just focused on them, they will make the biggest difference. You don’t need to look at the 40 something other reports that analytics produces. It all depends on what you’re doing, what your goals are, and how you go about your business. But in a basic nutshell, it comes down to this. If I said to you, “Look, here’s some numbers, 30, 40, 50. There’s three different numbers. I’d like you to write them down for me,” and then a month later we come back and we look at the same place where those numbers came from, and then we’ve got 70, 90, 100. Can you tell that they’ve gone up? Yes, of course you can. What if they went down? Could you also know that? Absolutely. And that’s at a basic level how analytics work. It’s just numbers. There’s no emotion involved. It’s simply this figure and this figure from that place and that place telling the story about what’s happening on our website. What we need to do is review it, at least on a monthly basis, choose our selective reports and go, “Hmm, okay, so the numbers are going up, or the numbers are going down. What can we do about that?” And we can look in particular places, and we can dig a little deeper if we want, but we don’t have to. Final thought, here is I believe the biggest problem with analytics and why people aren’t using it properly. We’re focusing on the wrong thing, and I don’t even mean the reports. I’m talking about too many people make the mistake in their business, with their website, they make the mistake of focusing on the traffic, not on the conversions, and that’s where the magic takes place. 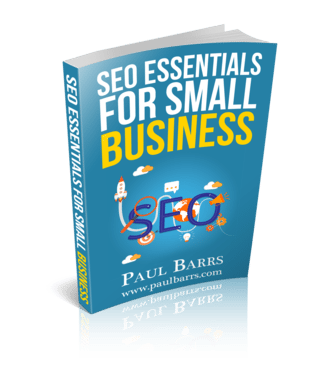 People are going to social media, people are going to SEO, people are going to seminars, people are doing webinars, people are running ads, and we’re getting traffic, traffic, traffic. But unless we can improve that conversion rate, that’s what we have to work on, the CRO, conversion rate optimisation, and once you get to understand that, seriously folks, you can even decrease your traffic but make more money. And I have just come across this time and time again over the last 15 years. Less traffic, more money. Lots of traffic, look good, if it’s converting, but usually it’s not. And that’s why we keep paying to get more, and that’s the mistake that I believe most people make with their websites and their conversion analytics. So stick by, I should say stand by. This month coming up Google Analytics, we’re going to look at some of the top reports, the things that you should be looking at, what you can do on your website, how you can make improvement. We’ll look at goals. We’ll look at the sales funnel and the conversion process. We might even get around to digging a little deeper and looking at content experiments. It will all depend on time and the feedback that I get from you over this coming month while I run this series live. Okay, you have a great day. My name is Paul Barrs from PaulBarrs.com. You have a wonderful one, and I’ll see you soon. Bye-bye.